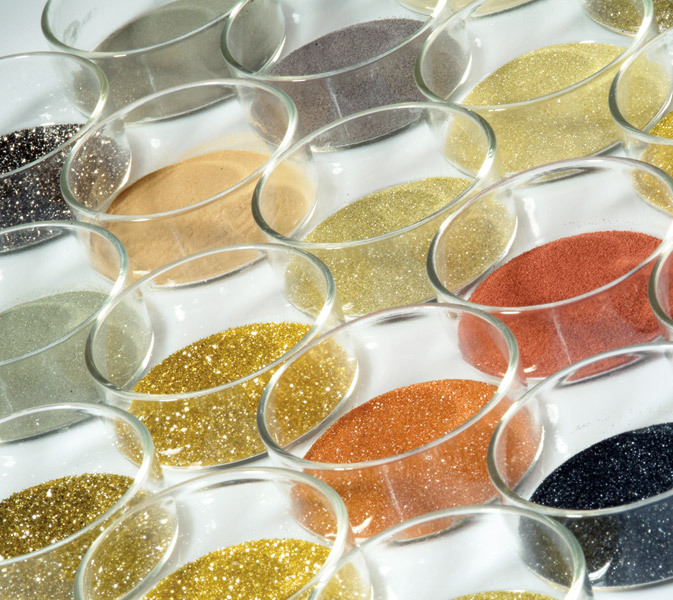 The selection of raw materials, such as diamond grits and metal powders, will be chosen by strict quality charac­teristics which requires an exact knowledge of the specific material qualities. Not only the analysis certificates of our suppliers but additionally permanent checks on our raw material deliveries guarantee a constant high quality. With the knowledge of our raw material we are able to develop and optimize the segment characteristics directly. 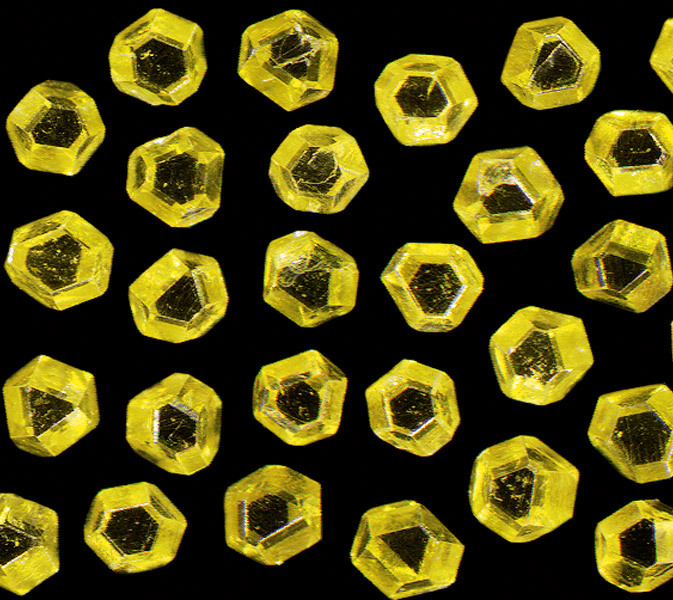 In the last years special attention was focused on the breakage characteristic of diamond crystals. We researched possibilities to describe diamond qualities clearly in order to give an exact statement about the future cutting performance. By an intensive exchange of experience with the technical market leader for diamond synthese a code system for diamond saw grit could be developed. 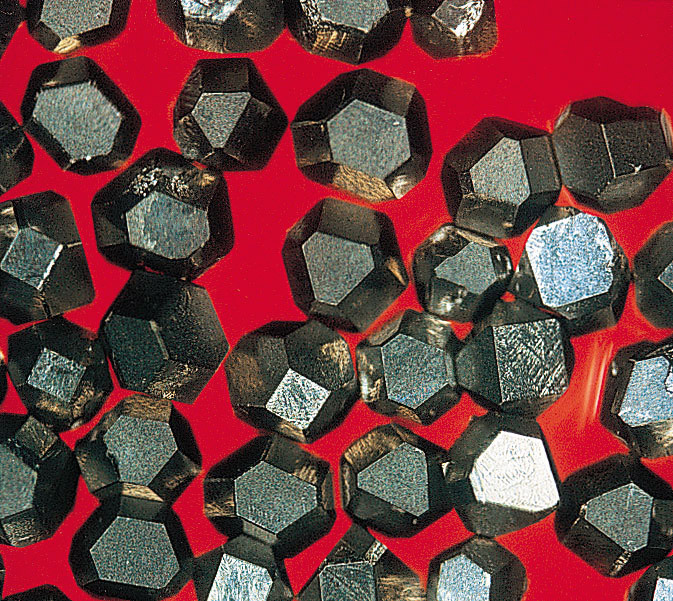 We were one of the pioneers of diamond tool producers which at first used successfully titanium or other coatings for diamond crystals and assisted our suppliers on their further developments for new coating systems. The used metal alloys and bond mixtures have changed drastically in the last years and will be continuously advanced in the next years also. The future belongs to bond systems with excellent easy cutting characteristics and an simultaneously improved tool life. We are working with pre-alloyed and to our requirements adapted metal powders so that tailor-made segment characteristics and reproduceable qualities at the highest level can be delivered.